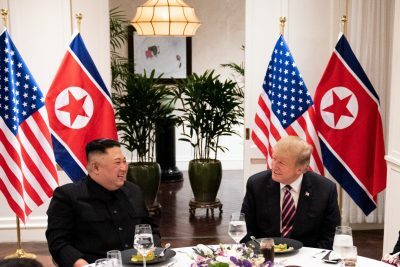 The world had been watching for eight months, since the Singapore Summit of June 2018, official or non-official Washington-Pyongyang peace dialogues. As the countdown of the Hanoi Summit began, the world thought that it had the right to hope for some encouraging outcomes. But the world could not digest what happened. The world hoped that the dim light for peace would shine brightly, but it failed to shine. The Summit collapsed. Why? A special train left Pyongyang on the 25th of February and headed for Hanoi with Chairman Kim Jong-un on board along with the world’s hope for a successful summit. The trip was lasted 70 hours; it was long and dangerous. It is possible that Kim has chosen the rain trip for four reasons. First, by being absent from Pyongyang for 10 days, he would have wanted to tell the world that he had total control of North Korean politics and that he had North Koreans’ confidence in him. Second, by taking the same rout as his grandfather Kim Il-sung who has quasi divine status in North Korea did long time ago, he would have wanted to strengthen his political legitimacy. Third, by taking three days of train trip to Hanoi, he attracted global media light thus widened his global visibility. Fourth, the train has given him a chance to be surrounded by the whole team connected with denuclearization and the Washington-Pyongyang negotiation process so that he could finalize the strategy of bargaining with Trump. It appears that the discussion with these people would have given him an optimistic outlook of the summit. Kim Jong-un might have thought that he would get the lifting of some sanctions in exchange of the dismantling of the Yongbyon nuclear facilities. He knew too well what price North Koreans had paid for the production of nuclear arsenal which was the only means to defend his country against American nuclear attacks. Thus, Kim Jong-un might have expected some decent results from the Summit; he would have never thought that Trump would walk out. Now, Kim knows who Trump is and what the U.S. can do. Kim now knows how undisciplined and unjust the negotiation with Washington could be. This could have been too much for a young leader with little experience in international politics. I hope that the Hanoi Summit experience would not discourage Kim. On the contrary, this experience should be considered as a lesson useful for a better bargaining strategy and even an alternative peace approach. In this paper, first, I will discuss the possible contents of the agreement accepted by the professional negotiation teams. Second, I will examine the possible reasons for the summit collapse. Finally, in the fourth section, I will try to provide an answer to the question: “What will Happen?”. Since there are no official announcements about the agreements by the negotiation teams, we have to make reasonable guessing for the pre-agreements based on the opinions and comments of “experts” media people, government officials and, of course, the politicians. (2) Dismantling of Yongbyon nuclear facilities which represent 80% of North Korea’s nuclear capabilities. The U.S. tries to minimize the importance of these facilities saying that they are old. But most experts of nuclear weapons admit that the cumulated nuclear knowledge and experiences are embodied in the Yongbyon nuclear equipments and products. Thus, the Yongbyon nuclear facilities are the rich stock of North Korean nuclear know-how. For North Korea, the dismantling of these facilities means the virtual irreversibility of denuclearization. Hence, the loss of the Yongbyon nuclear facilities justifies significant compensation from the U.S.
American gifts would have contained the following. (1) Opening of liaison offices in Pyongyang and Washington. Various media in South Korea indicate that these offices may be opened sooner or later. These offices will facilitate the Washington-Pyongyang communication and the process of building mutual trust. (2) Reopening of the Gaesung Industrial Complex and the Geumgang-san tourism. It appears that Washington might allow the Gumgang-san tourism without violating the current sanctions through, for instance, paying North Korean tourist facilities later when the sanctions will be lifted. (3) Declaration of the “End of the Korean War”. It appears that this was honestly discussed at the meeting of the professional negotiation teams and it could have been included in the summit documents to be signed. (4) Some additional removal of sanctions. The lifting of the main part of the sanctions depends on whether it is the Bolton model or the Pyongyang model. In the Bolton model, CIVD is first and then sanction lifting. In the Pyongyang model, sequential denuclearization is matched by corresponding sanction lifting. It appears that before the intervention of Bolton, the Pyongyang model would have been considered, but Bolton’s interventions could have put the whole issue back to no man’s land. There are at least six reasons for the collapse of the summit. Pyongyang would have asked the removal of the five UNSC Resolutions of Sanctions adopted in 2016 and 2017: UNSC Resolutions: 2276, 2321, 2371, 2375, 2397. These resolutions prohibit North Korea’s trade of natural resources, textile products and crude oil in addition to the prohibition of sending North Koran workers abroad. These sanctions can cut down deeply Pyongyang’s earning of foreign currencies. Washington considers such price as too high and not acceptable, while Pyongyang argues that this price is the minimum it can allow. The White House Security Advisor John Bolton joined the expanded summit meeting in the latter part of the morning of the 28th of February. He was not supposed to be there. He gave Trump a yellow envelope in which he would have asked North Korea to include, in its gift package, the destruction of even biological and chemical weapons as well as the removal of the ballistic missiles. This request is just too much for Kim Jong-un to accept, because it means, in fact, the giving-up of a good part of his country’s national defence capacity. It is possible that the true objective of Bolton’s demand could mean the end of the peace process. Bolton’s demand would have pleased greatly the South Korean conservatives, the Japanese conservatives and the Washington hawks. This group would do everything to maintain the nuclear crisis, because it will bring electoral wins and wealth deriving from weapon transactions. Trump would have told Kim that there were some other nuclear weapon producing facilities; Trump even asked Kim if he knew about them. This was a rather annoying attitude on the part of Trump; it could have given the impression that North Korea was hiding something. This could be interpreted as North Korea being not to be trusted. If there are such facilities, Kim would have known about it. Kim might have decided to reveal and use them later as the bargaining tools. In fact, the major difficulty in Washington-Pyongyang relation has been always the lack of mutual trust. This is perhaps understandable, for both countries have been enemies for 70 years. Many opinion leaders in the U.S. have been claiming that North Korea could not be trusted. But, North Korea does not trust the U.S. either. North Korea remembers well who broke the Framework Agreement of 1994. KEDO did not provide funds for the construction of the two light-water nuclear plants for civil us in North Korea. The U.S. did not provide North Korea with 500,000 tons of crude oil. These activities were the main contents of the Agreement; the U.S. and its allies did not implement the Agreement. The U.S. and its allies justified their non-implementation of the Agreement by arguing, with no proof, that North Korea had not respected the Agreement. North Korea faithfully carried out the Agreement requirement; it halted all the nuclear activities for military use. It seems clear that the necessary condition for the success of the future peace process has to be the trust building, especially among the Washington elite, American corporate media and think-tanks. It is just unbelievable to see that the U.S. Congress heard Cohen’s devastating testimony against Trump while the summit agreement was about to be signed. It was an event which was too consequential to be considered as a simple coincidence. It seems more than possible that the Democrats decided to destroy Trump. Under such circumstances, signing the summit agreement would not produce the political benefits for Trump. In fact, Trump suggests that he Cohen testimony was a variable responsible for the collapse of the summit. Trump seems to regard the Cohen testimony as the Democrats’ sabotage. It seems that Bolton is a faithful friend of Abe and Japanese large corporations. Japan has been asking Trump to include in the Pyongyang-Washington dialogue the issues of the abduction of a dozen Japanese nationals by North Korea happened decades ago, the removal of even middle-range missiles and perhaps the thorny issue of human rights in North Korea. The issue of the abductees is not a part of nuclear dialogue. This is an issue to be settled between Japan and North Korea. The removal of medium-range missiles means serious weakening of North Korea’s defence capacity. The issue of human rights is the most sensitive issue for Pyongyang. Japan knows well that, if the Washington-Pyongyang negotiation includes these issues, North Korea will give up the dialogue. This is perhaps what Abe aimed at. It is not impossible that these issues were in Bolton’s yellow envelope. If this was the case, Chairman Kim had no choice but refuse to sign the agreement. In the final analysis, the most important reason for the summit collapse was the Trump factor. At the press conference Trump said: “I could sign the agreement, but I did not!” What is incredible was that he said this with pride; there was no single word of regret; there was no single word of apology to Kim Jong-un. Before I offer my evaluation of the summit, I would like to discuss the fundamental problem of the peace dialogue. I am afraid that unless this problem is properly dealt with, the whole peace process will be more than bumpy; it might go nowhere. The fundamental problem is the lack of mutual trust. In the U.S. not only those who are directly or indirectly involved in the peace process but also the general public seem to think that North Korea is not trustworthy. Where does this mistrust come from? It comes from a logical frame fabricated by the Washington hawks. It goes like this. North Korea is threat to the world, especially to the U.S. Japan and South Korea. Therefore it is dangerous. Being dangerous, it should not be trusted. Since one cannot trust it, North Korea should be punished through sanctions and even pre-emptive attacks. Thus, the root of the mistrust is the belief that North Korea is a threat to the world. But which part of the world? Remember this. North Korea is a tiny, poor but very proud country. Can it be a threat to South Korea? If it was so before, it is not so any more. The North and the South signed in 2018 the agreement of de facto non-aggression. Can North Korea be a threat to Japan? Here again, why should North Korea threat Japan? In fact, North Korea fears the threat of Japan better armed; this fear can increase as Abe amends the peace constitution so that it cam wage war against foreign country. Can the country of Kim Jong-un be a threat to the U.S.? North Korea has been consistent in that it can retaliate with nuclear weapon if, and, only if the U.S. attacks first. Besides, the U.S which spends $700 billion per year can surely be able to destroy a few ICBM coming from North Korea long before they can reach the U.S. territory. It is absurd the think that North Korea can be a threat to China or Russia. In short, the argument of North Korea’s being a threat to the world is a pretext to demonize North Korea. If North Korea is not a threat to the world, the issue of its being untrustworthy is no longer an issue. There is another side of the issue of trustworthiness. It is the matter of the relation between trust and lie. When you say that North Korea cannot be trusted, it means that what North Korea says is a lie. The U.S. can also lie. The U.S. is the strong, while the North Korea is the weak. Now, to see which one would lie more depends on the cost of lying; this cost is represented by related penalty. It seems obvious that the lie by the weak costs far more than the strong’s, because, the weak cannot punish the strong. If this logic is sound, it is quite possible that the U.S. could have lied about the nuclear crisis more than North Korea. The Hanoi Summit has collapsed and we are disappointed. But, ti is not necessarily a failure; it has allowed both sides to better know what the other side can do and cannot do. So, the coming dialogues and negotiations are likely to be even more productive, only if the U.S. wants peace and no regime change in North Korea. But, the necessary condition for the success of the peace process is the mutual trust without which no matter what one side says the other would not believe. 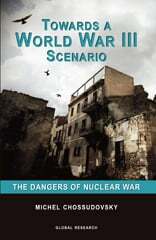 The immediate problem will be the number of nuclear warheads. North Korea will say that it has 30 war heads, but the U.S. will say 45. Then the negotiation will die. I think that North Korea and South Korea should invest much more resources to convince the American think tanks, media and especially the ordinary people that North Korea is not an evil, that it can be trusted and that the nuclear tension is beneficial only to a few military-industrial elite in Washington,Tokyo and the far-right South Korean conservatives. The future course of the peace process will depend much on the careful mediation role of President Moon Jae-in of South Korea. But Washington and Pyongyang should facilitate Moon’s role by conceding a little more. In closing, I say this. North Korea cannot accept the Libya model, for it means the total destruction of a country. North Korea is sincere in getting rid of nuclear arsenal, but as a sovereign nation, it cannot sacrifice its own defence. If Bolton’s idea of denuclearization means the destruction of all the means and resources needed for North Korea’s own defence, Chairman Kim Jong-un will go his “My Way”. Then, only God knows what will happen. Professor Joseph H. Chung is co-director of the East-Asia Observatory (OAE)-the Study Center for Integration and Globalization (CEIM), Quebec University in Montreal (UQAM). He is Research Associate of the Center for Research on Globalization (CRG).